Tomaso Giannelli, a project manager on SCE’s outage communications team, discusses the grid and power outages during an outage school for residential customers in Long Beach. Ray Maese, senior manager of SCE's outage communications team, explains that the company has increased maintenance outages to ensure greater reliability and to upgrade the system. Residential customers at an SCE outage school in Long Beach get answers to questions about their power issues. Maria Gudino, a program analyst on SCE's outage communications team, discusses the different tools available to report or get information about power outages during a recent outage school in Long Beach. SCE outage schools for residents explain how the power grid works and the efforts to increase reliability. Catherine Sargent was curious. A computer at her office recently was damaged after what a repairman speculated might have been a surge following an unplanned overnight power outage. So the Lakewood resident’s ears pricked up at a recent Southern California Edison outage school in Long Beach when another attendee asked if surge protectors would protect electronics. “Yes, in most cases, surge protectors will work,” said Tomaso Giannelli, a project manager on SCE’s outage communications team. That was just what Sargent wanted to know. “With my kids, I’ve got a lot of electronics at my house,” she said. SCE’s outage schools for residential customers offer a chance to learn about how the power grid works as well as the reasons for maintenance outages and unscheduled repair outages. Giannelli said the schools are particularly helpful because SCE has ramped up work on the electrical system to improve reliability. In previous years, SCE planned 15,000 to 18,000 maintenance outages a year. Last year, that more than doubled to about 37,000 with a similar number scheduled this year. The company is now spending more than $4 billion a year on the maintenance and upgrade of the system. The maintenance outage program is designed to reduce the number of emergency repairs. 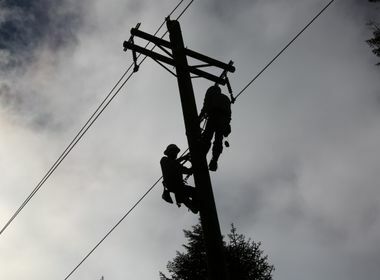 The stepped-up maintenance outage work is also part of SCE’s effort to upgrade the power grid to accommodate solar and other alternative power sources and to help more quickly diagnose and limit outages when they occur. Giannelli noted there are a variety of causes for repair outages, ranging from cars hitting power poles to animals interfering with lines. One of the biggest causes is metallic balloons. Last year, SCE had a record 924 balloon-related outages. 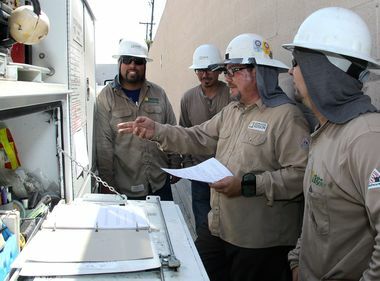 He encouraged customers to report anything that seems amiss with electrical equipment to help SCE pinpoint problems in advance or fix them more quickly. Use the SCE online outage center or the mobile app to learn about outages in your area or to report them. You can also report outages to customer service at 800-611-1911. Customers on life-support equipment should notify SCE so the utility is aware of their special needs in an outage. They may also be able to get a break on their electrical bill through the company’s medical baseline program. 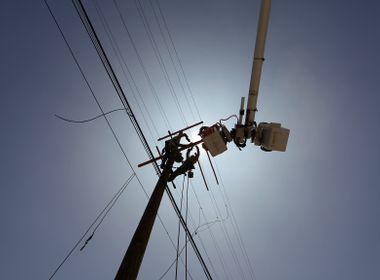 Most customers with solar power remain connected to the grid with systems that automatically turn off the power during an outage to prevent “feedback” that could endanger SCE workers making repairs. More information about solar power and how it works is available on SCE’s website. Sargent said she found the outage school informative, especially in how SCE responds to outages, but the best thing of all was learning about SCE’s online outage center mobile app. “I used to go online, but now I can go on my phone,” she said. Outage schools for residential customers are held periodically throughout SCE’s territory. The next one will be Dec. 14 in Goleta.